Epic Games pays close attention to the community’s requests and grievances. The biggest current issue rotating around the community’s fansites and Reddit pages is the Heavy Sniper’s unusually high body shot damage. Many fans argue that the Heavy Sniper does too much damage with body shots. A single bullet can do 157 damage even if you just hit the enemy in the foot. While the damage is not lethal, it’s essentially a kill shot without the need for accurate aiming. The general argument is that the Heavy Sniper’s high body shot damage reduces the skill gap immensely due to the ease with which you can take a player out of a fight. Epic Games saw this argument boiling up within the community and decided to issue a short statement on the issue. EpicEricSW commented on Reddit about the Heavy Sniper. So, at least for now, it seems the Heavy Sniper will not be getting nerfed. This will come as a surprise to many players as Epic Games has removed/nerfed a lot of “over-powered” weapons in the past. free v bucks generator The Heavy Sniper exceeds the damage and ease of many of those weapons. The weapon currently is severely effecting the balance of the game. Due it’s high damage, Assault Rifles have become a difficult bet to use even in casual matches. In competitive matches, a single peak will result in essential death. We have a suggestion for the community and Epic Games. 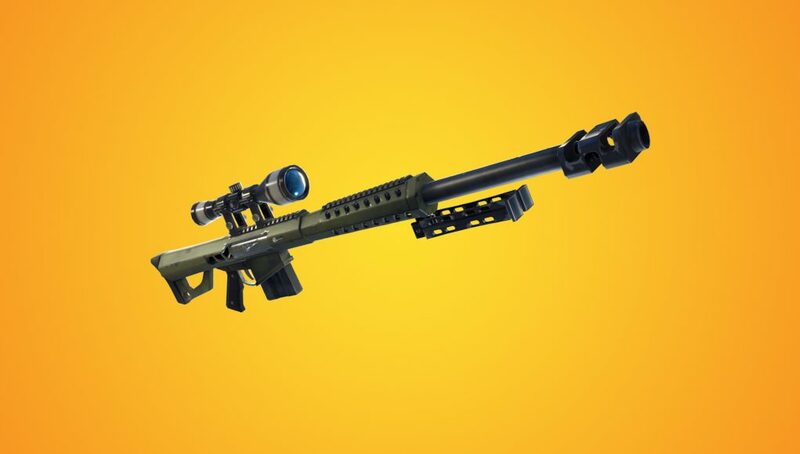 Perhaps the damage of the heavy sniper doesn’t need to be nerfed, but rather add a mechanic which will force a little more skill out of the Heavy Sniper user. The Halo franchise of games uses a mechanic known as “de-scoping” to force players to shoot quickly. The mechanic takes players out of being scoped-in when they are hit by enemy fire. This could be a nice way to keep the power of the Heavy Sniper at bay while also allowing for massive damage if the player has good reaction times. It would allow for a little bit of counterplay against the Heavy Sniper.